Planned out the garden, taking into account that we’ll also have a farm share, so we don’t need a ton of veggies. Bought seedlings (tomatoes, strawberries, oregano, parsley, chives, calendula, zinnia) to plant in addition to some sugar snap pea seeds I already had on hand. 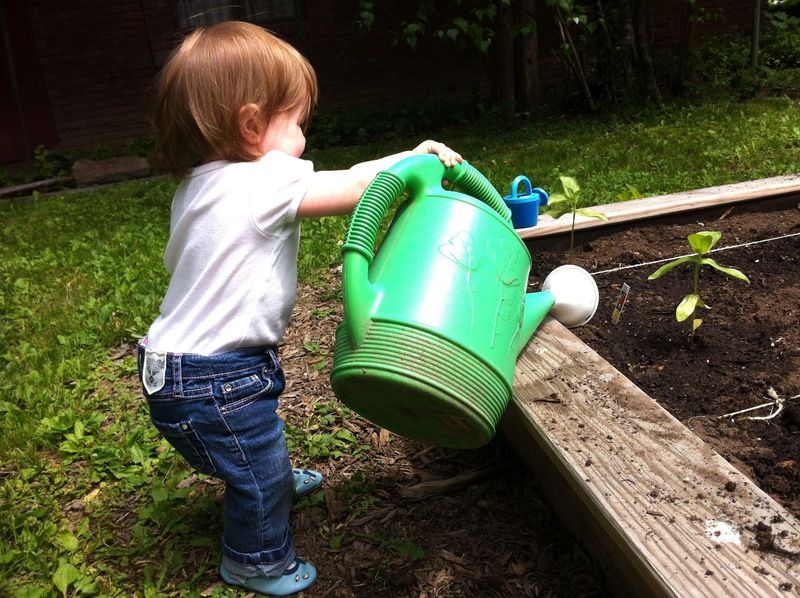 I bought most of my seedlings at Honest Weight Food Coop – they’ve had a beautiful selection of organic vegetable and herb seedlings. 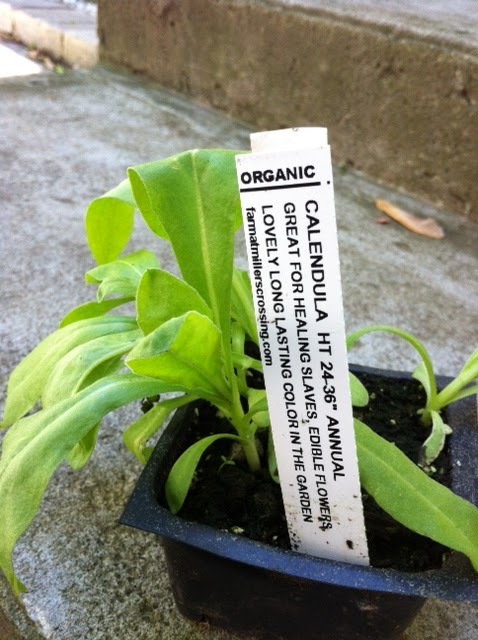 I picked up the zinnias and a few other random flower seedlings at a neighborhood plant sale. Planted the herbs in a container garden on the patio. 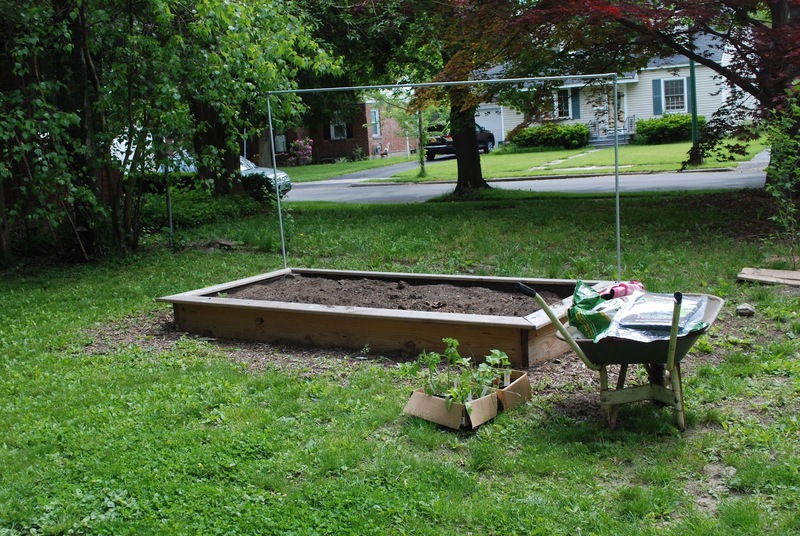 My partner-in-crime/husband built the frame for the netting we’ll put up for the peas and tomato vines. Picked up some other supplies like soil and bird netting to go over the strawberries. Planted the seeds and seedlings in the raised beds. After the frame for the vine plants was built, but before any plants or seeds were in the bed. Not much to look at yet, but everything has been planted! We’ll add the net to the frame this weekend so it will be all ready for the peas. This wasn’t a huge project- I did most of it in small chunks during E’s naps. Giving myself a 1-week timeline (and the fact that I had to report back on it here!) kept things moving along. Focusing on this project also inspired me to work on some other projects around the yard- it felt like a productive week. 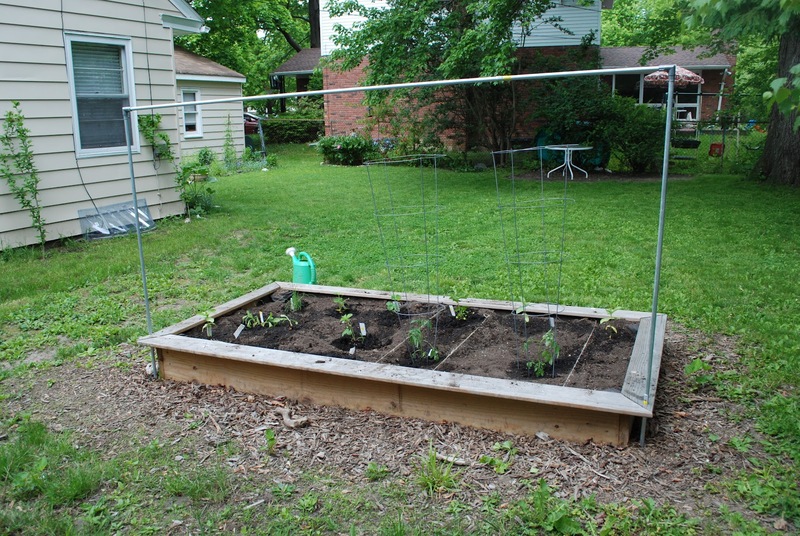 I still need to buy some basil for a second container on the patio (the nights were still too cold to plant it last week), put the bird netting over the berries, and hang the nets for the peas. That should be wrapped up this weekend. 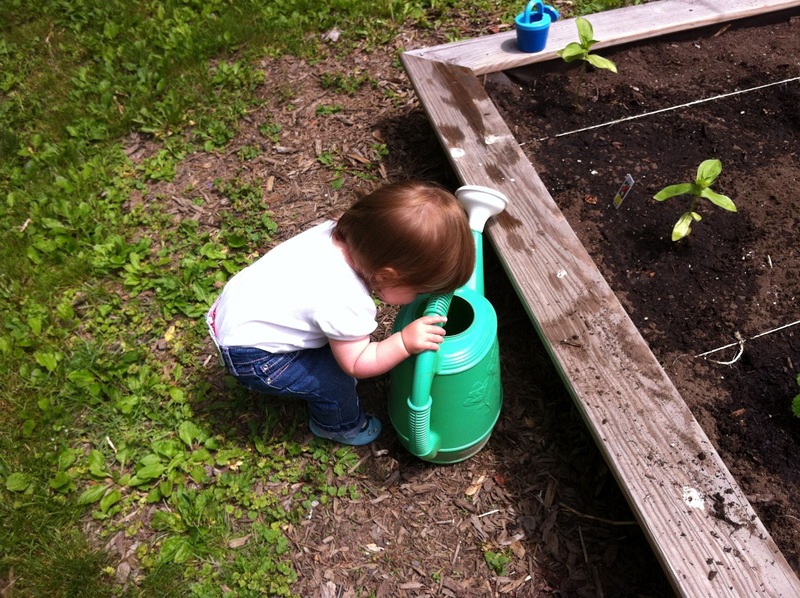 Gardening has already been fun with the little one — I had some help with the watering this morning.